Cart Recovery is when a customer Abandons their cart before completing the checkout process, they can be recovered and you can help entice them back to finish the checkout process. 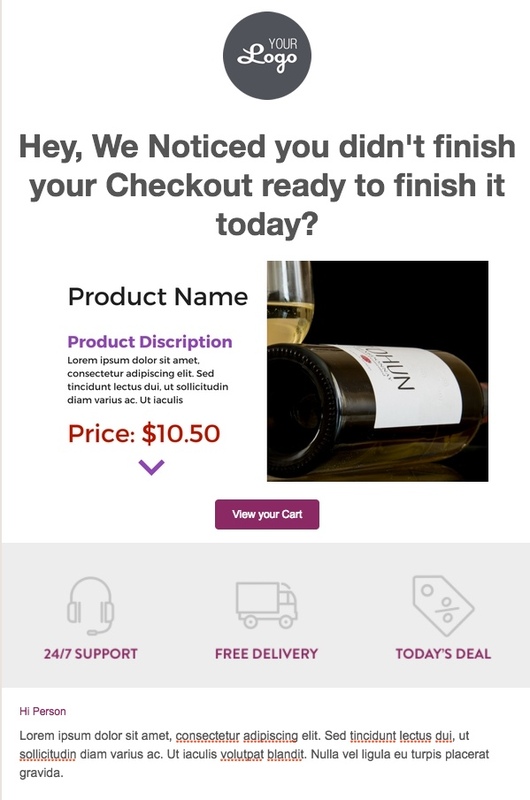 When a potential customer provides an email address but does not complete the checkout process, a series of recovery emails are triggered to help guide the customer through purchase completion. 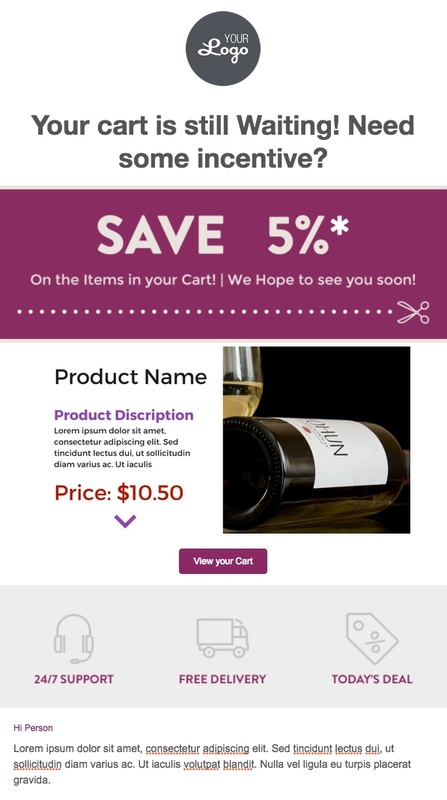 You have the ability to automate shopping cart recovery emails that contain images of the products that were left in the shopping cart, as well as make dynamic product recommendations, offer assistance for troubleshooting any technical errors, and/or insert a coupon incentive. 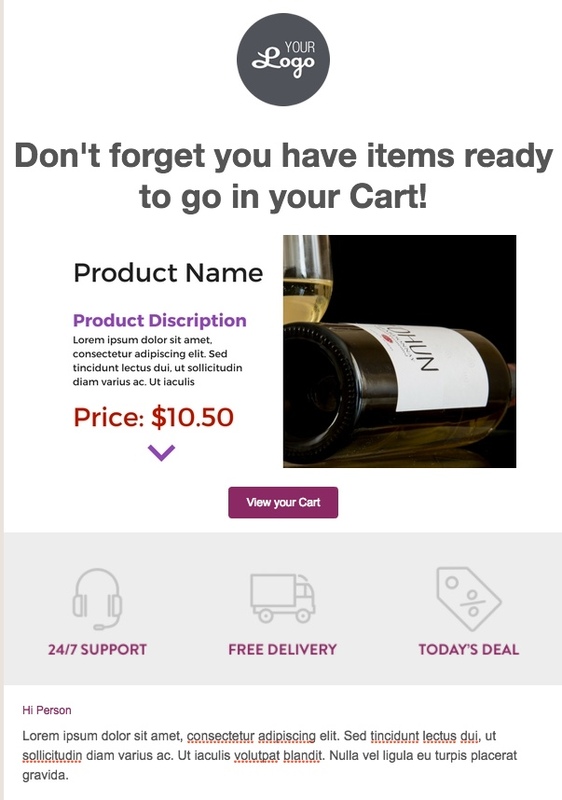 Our Cart Recovery solution has a user-friendly interface that provides our clients with the ability to easily configure the timing of these triggered emails, the amount of optional incentives to offer, and the overall design of the email templates. 57% of customers abandond carts becasue they are not ready to commit or they need more time to research into the product(souced from: Monica Easton-Cardone). 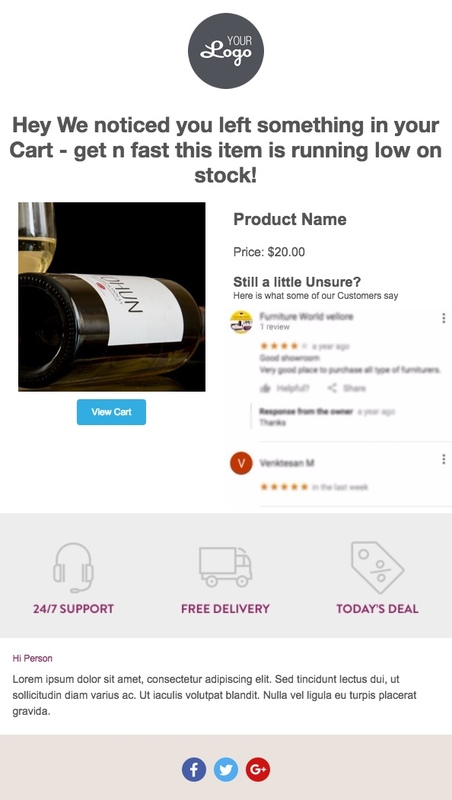 To help make research easier for the customer add in reviews where possibe on one of your emails like in the example below. Cart Recovery from a Third part can cost you a lot of money that as a small business you don't have the luxury of spending. Browse abandonment refers to those shoppers who browse a site, viewing category pages and products on site, but leave without placing items in their basket or making a purchase. To give it some ‘real life’ context, browse abandoners are often compared to ‘window shoppers’. Browse Recovery captures and stores product page views for all customers and ties that behaviour to a known contact or saves the browse activity so it can later be matched to a known contact which allows you to contact them and try entice customers back to your website to finish their purchase. Recovery of the information in the customers cart that they abandoned. This is just the items that they have abandoned in the checkout. So whats Important about the difference? The difference is where the customers abandoned the site which means you have to deal with them differently. Its important because you have to look at it in different ways and the reasons that they abandoned is a lot more broad but can give you amazing insight into your site and how to improve. An example of how to treat it differently is an email, it would be directed at a customer that abandoned while browsing, is shown below. Its not a huge difference but you have to know who you are targeting. Keep in the mind the products shown should be products that the customer was looking at or similar products. 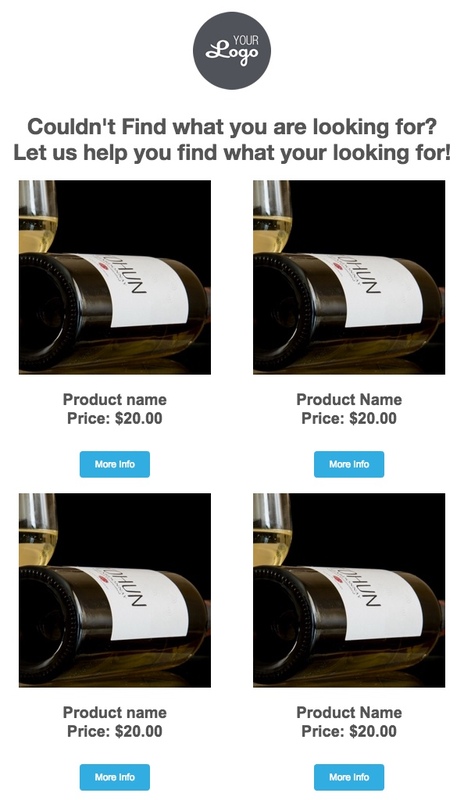 You should also adding in reviews or ways for the customer to view research information on your product (reviews, more in-depth information on the product) to help incentive them to return. Infographic Helping to show the difference between Browse Abandoners and Cart Abandoners. 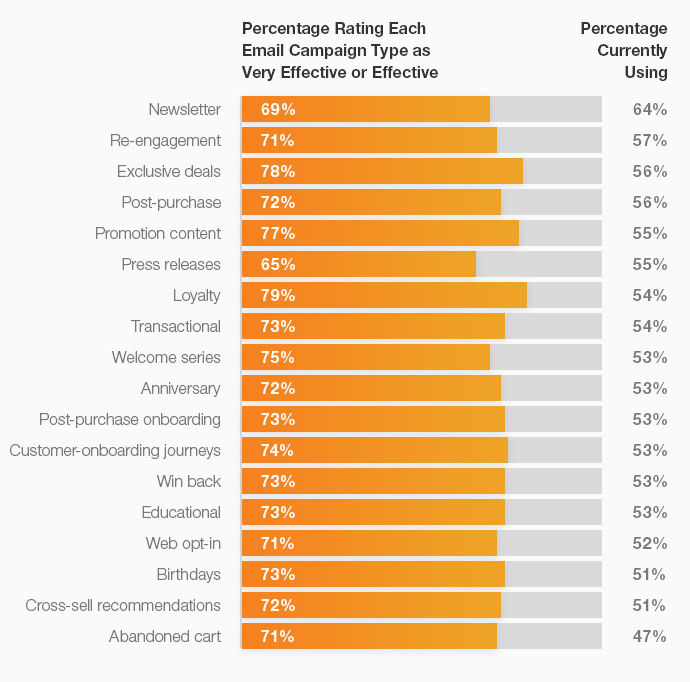 The graph below shows the effectivness of many types of emails to help give you a better idea on how the effetivness rates ageisnt other emails. as you can see it is up there and is effective when used right. What can GTP do for you? 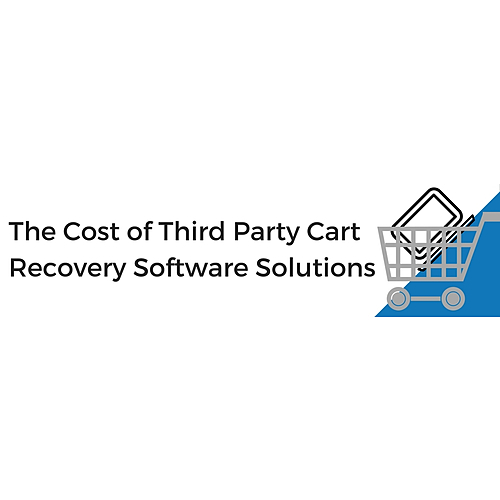 We think that the price points being charged by third party cart recovery software solutions is excessive for the micro and small business ecommerce sites. It is definitely a must have in your ecommerce arsenal however value for money solutions need to be sought out.  At GTP, we believe its our responsibility to provide the best checkout experience possible and provide cart recovery tools as standard to give our clients the highest chance of success. 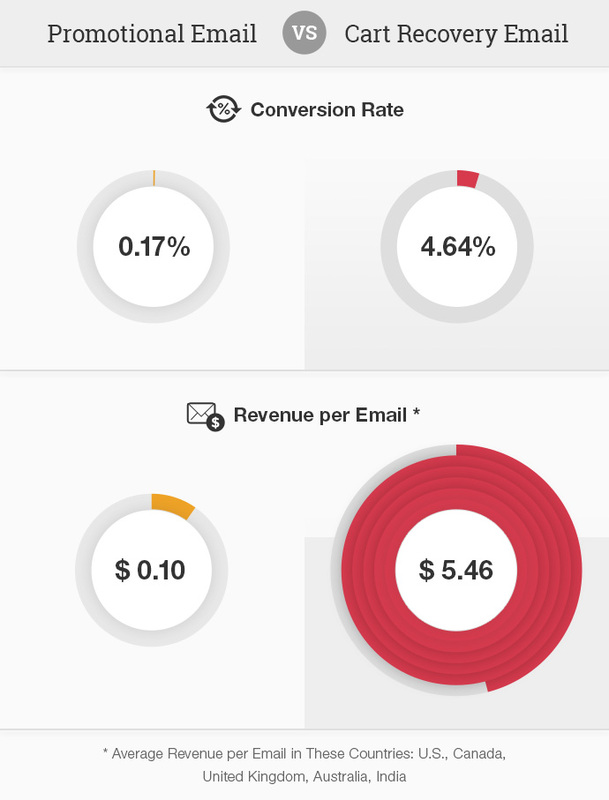 SaleCycle - What is Cart Abandonment?